One of our sites urgently needed new Wi-Fi upgrade. It needed badly! I thought it is not possible what I saw. Whole Wi-Fi infrastructure was based on bunch of randomly picked access points, placed in a raisers or ducts surrounded with different type of pipes and hight voltage cables. Don’t need to be a genius to know that it wont work. And it wont. 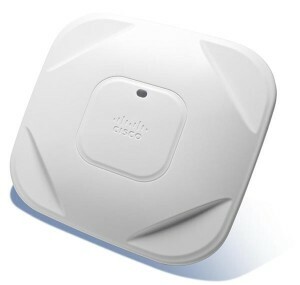 Now new infrastructure is build based on Cisco Aironet 1602i APs powerd by PoE 1 from switch. Ideally would be if there was a WLC2 involved but… seems we can’t have everything though. Now, fun part. APs configuration. A 1602i comes with two radios: 2.4GHz and 5GHz. I need one SSID for all two networks, protected by a WPA2 password. Let’s not forget to protect AP itself and change default username and password and enable SSH. I named password as a ssh_secret_password but it not only be used during SSH connection but also in telnet, because Cisco by default has set this up to use local user name database instead using enable password option. Let’s summarized what we have. We changed host name and also default username and password to access telnet and SSH (we didn’t enabled SSH yet). We changed password to access privilege mode. We prevent syslogs from disturbing us while we type commands by executing logging synchronous command, and also we increased logout time out to 3 hours. Now, it is time to do it right and use SSH instead telnet to access our AP remotely. To enable SSH we need to generate some cryptographic keys. These keys (private an public) are used to cipher communication between our AP and us so the password to log in is not sent as a plain text as it is during telnet session. Before we can generate those keys, we need to set up a domain first. All host are identified by a username.domain_name.com and so keys are generate for a specific username in a specific domain only. As you can see above SSH has just been enable. We didn’t need to do anything else. SSH other than telnet is using pairs of username and passwords, and crypto keys. Because we had username and password setted up, by generating keys we enabled SSH. Now it is time to set up our SSID. As I mention before, we need one SSID for both radios, it has to be protected by a shared WPA2 key and, I didn’t mention that before, SSID has to be a visible to our clients. Our SSID will be My_Wi-Fi and the password will be pa$$w0rd1. Open authentications allows any wireless device to authenticate with our access point, of course it provides correct WPA2 password. Guest-mode option it enables beacon to broadcast SSID so a client can see our Wi-Fi. Now at least we need to configure our two radios. This configuration will look exactly the same for radio 0 and 1. To use WPA2 we must use cipher encryption suit. In this example aes 3-ccm, then assign SSID to the radio and at the end turn the radio on, as all Cisco APs ships with radios switched off. Last but not least all it left it’s to save our job. We have a secure access point with two radios configured to use one SSID protected by WPA2 password. I left BRI interface in default configuration. It picks up address from DHCP 4 and I found it helpful instead setting a static IP to it.